Small spaces can be tricky to decorate since they have a limited footprint. Avoid these mistakes, and make the most of your space! Using tiny rugs, chairs, or simply under-furnishing a small apartment or room could make it feel smaller than it is. This is because it can give the illusion that nothing else will fit into it. Be mindful of this by picking furniture that is proportional to your space. For example, you can still find a small L-shaped sectional to fit your living room – you don’t have to settle for a loveseat. On the other hand, you’ll want to avoid overstuffing your room with pieces that are too large. Ditch large night stands if your space is too small, and opt for a small hanging shelf as a replacement. Cluttering up every surface or nook will make your space feel confined. Use restraint when making collages or displaying knick knacks. Showing off your most loved pieces will be sure to add personality without making it hard to navigate or move around in your home. A small space doesn’t mean it has to be void of all personality. 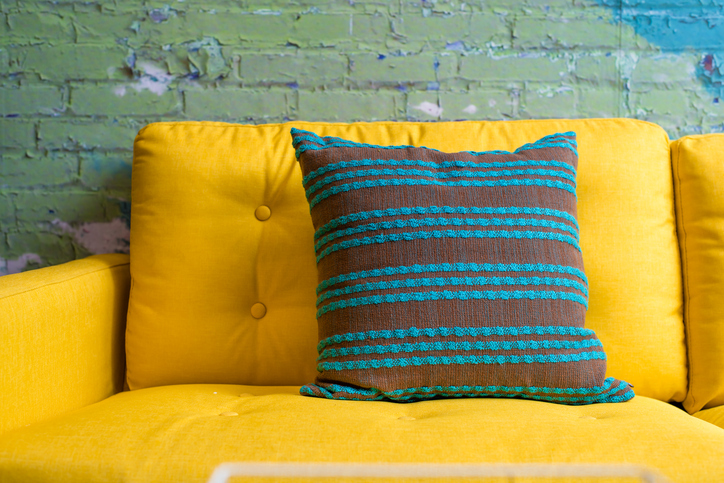 Don’t be afraid to take bold chances like having a bright velvet couch, or mixing lots of prints and colors. Just make sure it doesn’t feel like you’re in a dizzying kaleidoscope. This tip can be used in nearly any sized room but is especially key for small apartments or condos. Simply pushing furniture to the outskirts of a room will make your home feel awkward. Putting furniture on the perimeter can also draw attention to the size of your room making it feel smaller than it actually is. Place furniture in a natural way. 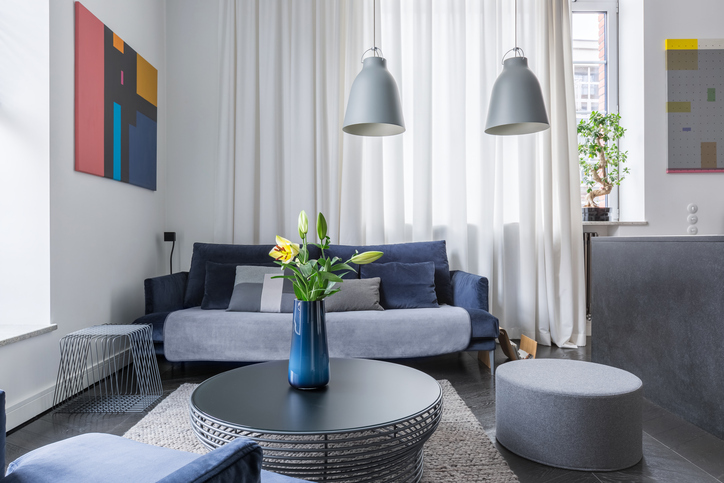 Natural and artificial light is key to making any space feel open and airy. Ignoring important decisions around light will just make you even grumpier in your home. Make sure you pick window treatments that offer the most light throughout the day and don’t obstruct windows and light with walls or other objects. Also, keep in mind that adding appropriate light fixtures will make doing everyday tasks a lot easier. Small homes often benefit the most from custom storage solutions. This is because homes can have odd dimensions and because many shelves or storage systems will need to be custom cut or manufactured. Built-ins are a great way to maximize your space because you’re also able to build shelves, hanging areas, cubbies, cabinets, or nearly anything in a style that is seamless throughout your home. 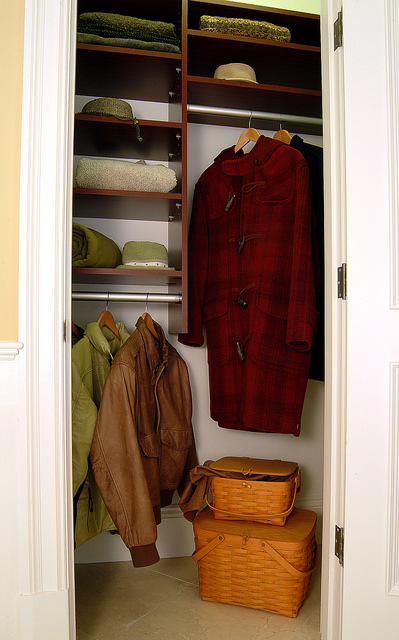 No matter how small or large your home is, Closet & Storage Concepts is there to help you make the most of it. We want to help you make more room for life and have a network of locally-owned and operated stores ready to serve you. We specialize in custom closets, pantry storage solutions, and we even offer unique Murphy beds. Photo credits: (1) © in4mal. (2) © eriyalim. (3) © Closet & Storage Concepts.